Trainer David Hayes is hoping Futooh can cause an upset in the Flight Stakes at Randwick. Futooh is already a stakes winner over the Randwick mile and will be chasing an upset win in the Group One Flight Stakes. The Lindsay Park stable has two fillies in Saturday’s Flight (1600m) with Futooh joined by Fundamentalist who was placed at Group One level in Brisbane as a two-year-old over the distance. The winner of the Listed Fernhill Handicap(1600m) at Randwick in April as a two-year-old, Futooh was beaten nearly five lengths by the impressive Miss Fabulass when ninth in the Tea Rose Stakes second-up last start. But co-trainer David Hayes believes the run was better than it appears after Futooh ran into traffic inside the final 200m when she was starting to warm up. “Her last run was excellent, she just got blocked,” Hayes said in his stable update. Futooh was at $26 on Friday while Fundamentalist was at $81 having finished last in the Furious Stakes and eighth in the Tea Rose. “She’s struggling a little bit at the moment but she has been set for this race so hopefully she can run a better one,” Hayes said. The Kris Lees-trained $2.20 favourite Miss Fabulass could emulate her dam Samantha Miss who won the Flight Stakes a decade ago. 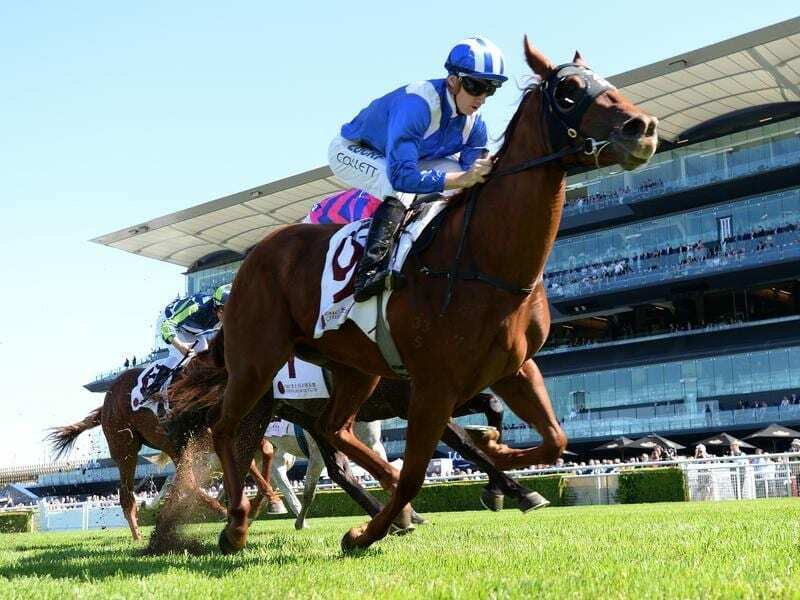 Miss Fabulass forms part of an outstanding book of rides for Kerrin McEvoy which includes Epsom Handicap equal favourite Unforgotten and Metropolitan Handicap favourite Brimham Rocks in the day’s other Group One races. Trainer Mark Newnham believes the Flight is a good opportunity to test Maid Of Heaven and Nakeeta Jane at the top level before targeting the autumn. “Maid Of Heaven is a run ahead of the other filly and has already performed well in the Tea Rose (5th),” Newnham said. “She’s well-advantaged drawing barrier one. James McDonald rode her on Tuesday morning and he’s pretty keen on her chances. While he said it may come a bit quick for last week’s impressive Warwick Farm maiden winner Nakeeta Jane, he said the filly had well above average ability. “She’s trained on really well since she won the other day and she was dominant,” he said.